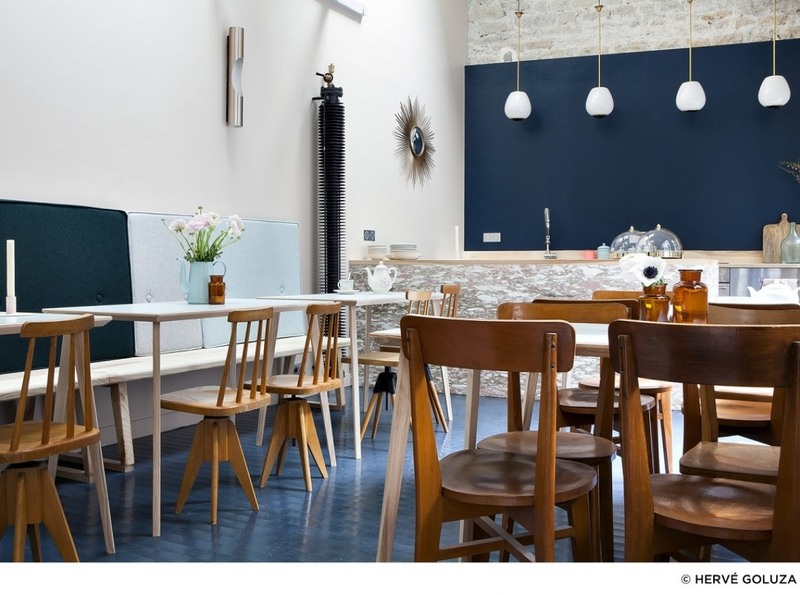 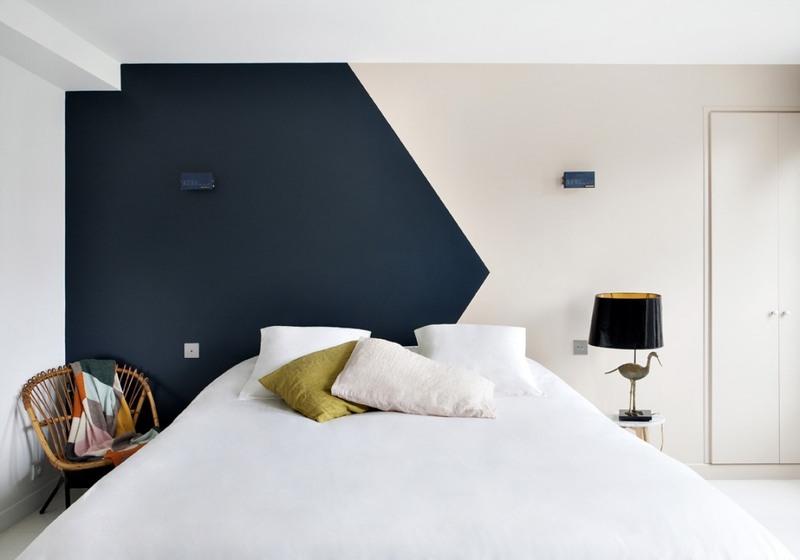 This relatively new funky boutique hotel on a brick-paved side street in the 9th arrondissement is just a 10-minute walk from Jardin des Plantes botanical garden, close to the Mouffetard district. 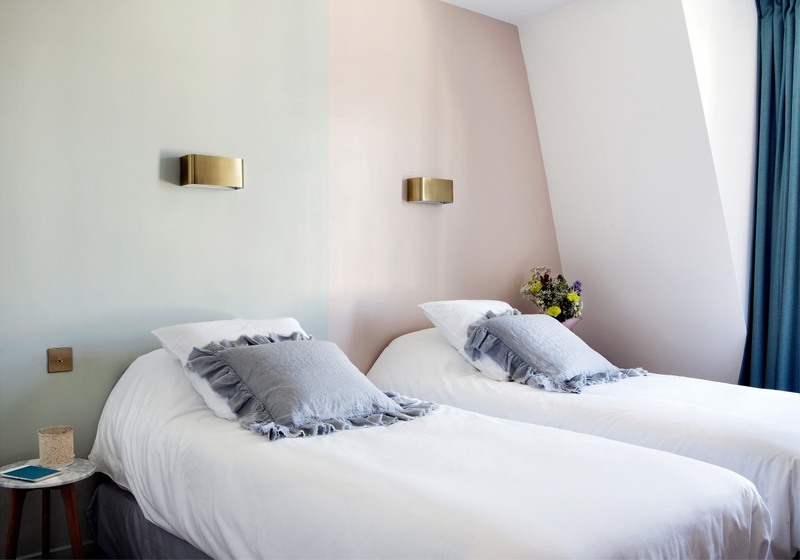 The enchanting, unique Hotel Henriette offers a very intimate experience for visitors with its 32 individually designed bright rooms, lounge with a wide selection of reading matter and secret garden. 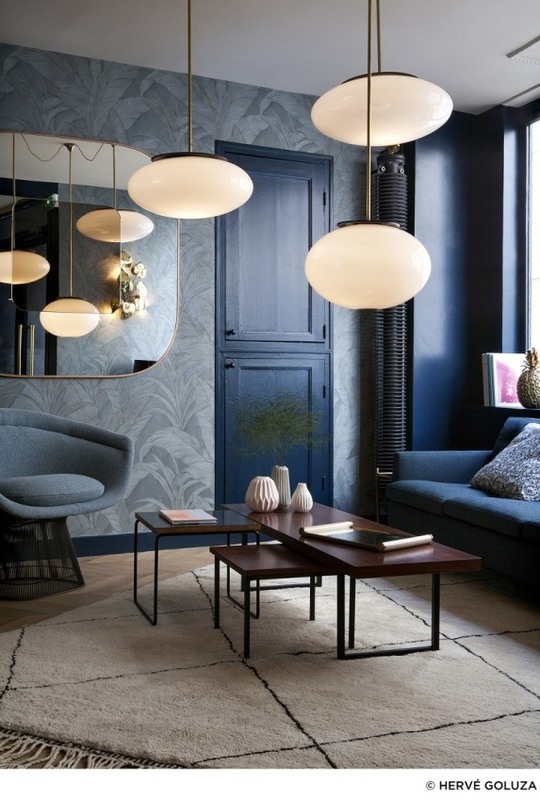 The designer of the accessible yet exclusive interior is Vanessa Scoffier, a former fashion editor and noted interior designer. 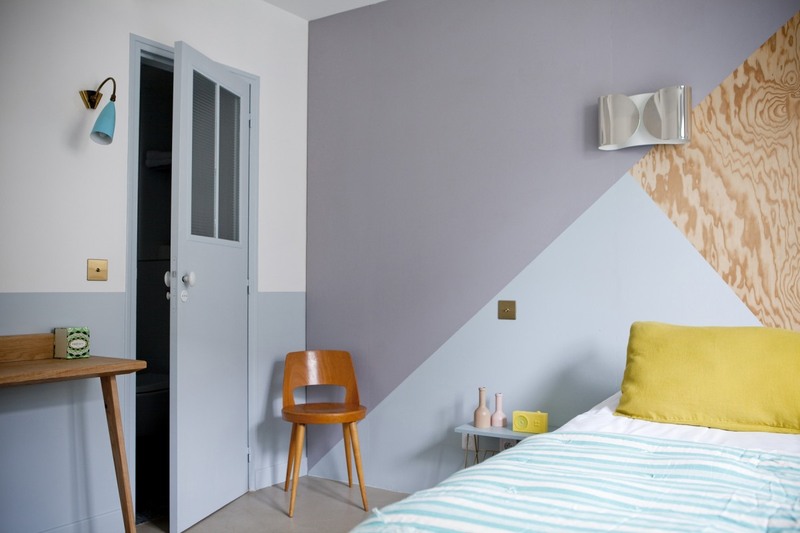 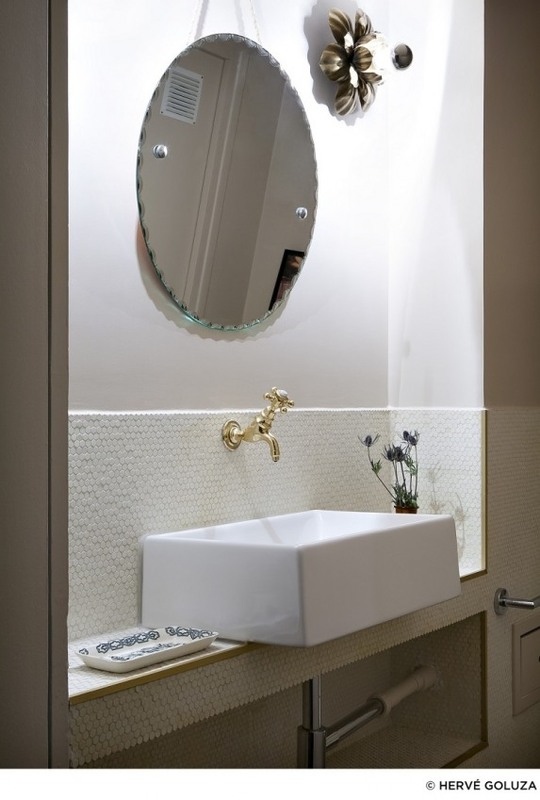 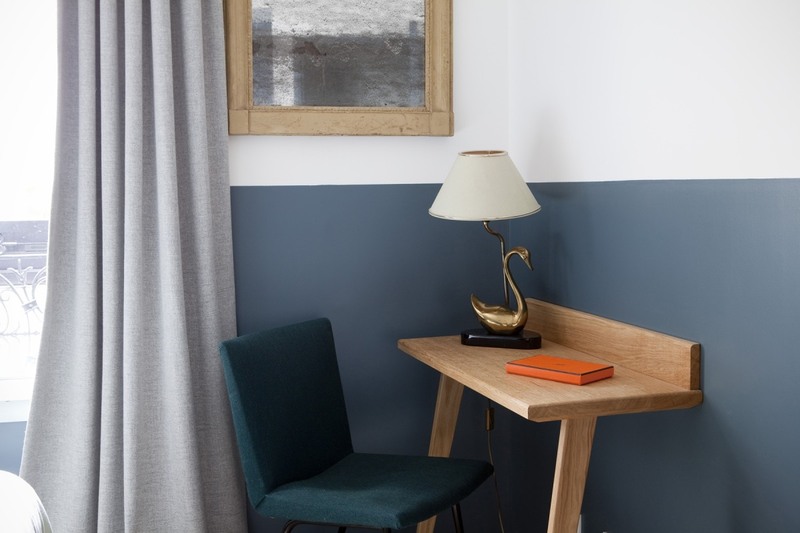 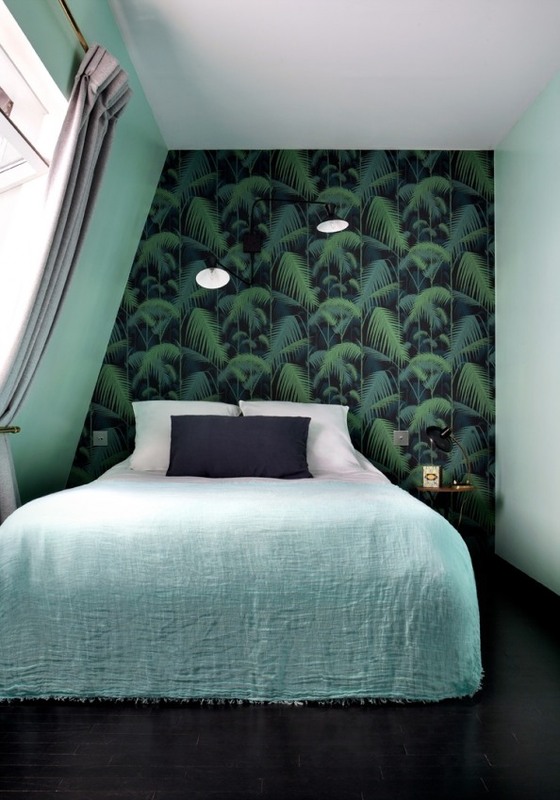 Her task was quite challenging due to the relatively strict budget, but spending 15 months scouring Paris’ famous flea markets, collecting unique and affordable pieces for the hotel and several smart solutions – such as creatively painted walls – brought striking results to the Hotel Henriette project. 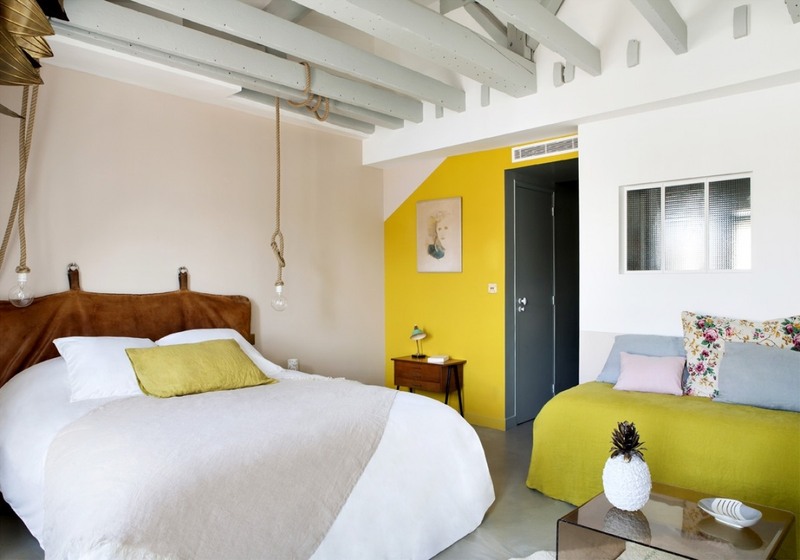 Vanessa’s sources of inspiration for the design of the hotel were: Eames, Raak, Perriand, Maison & Objets, Merci, Les Puces du Design, Au Fil des Couleurs, Pierre Frey, Caravane, Conran Shop, Flos, Cassina, Zara Home, Les Puces de Saint-Ouen, Tissus Kvadrat, Patricia Urquiola, Linge Particulier, Stilnovo. 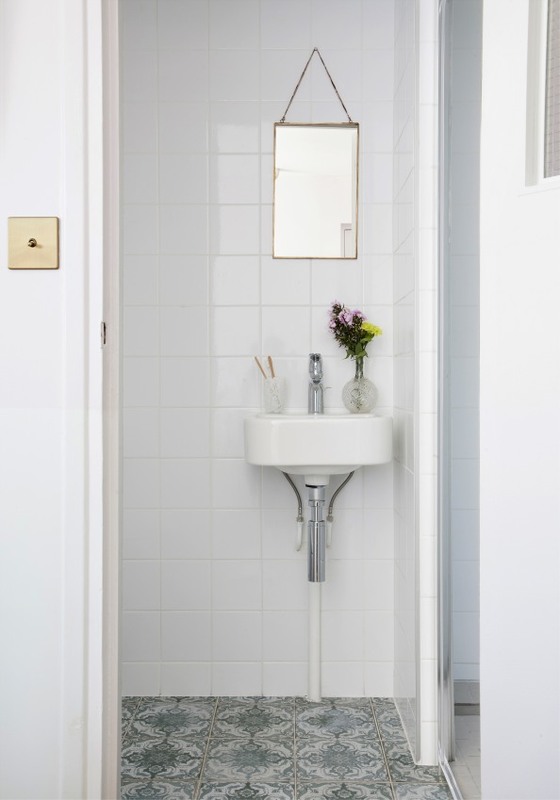 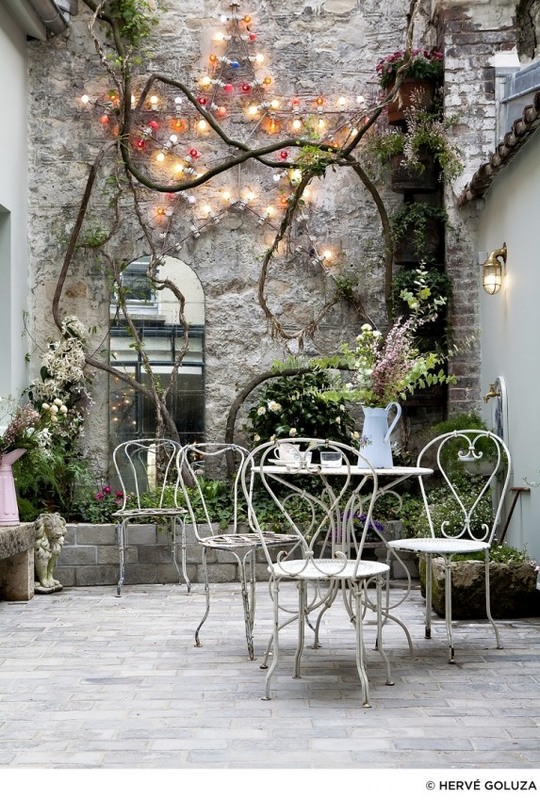 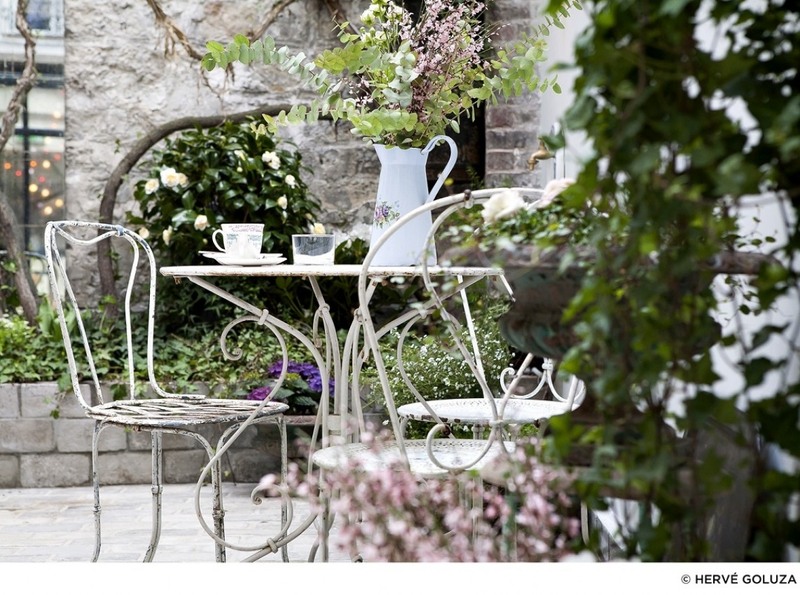 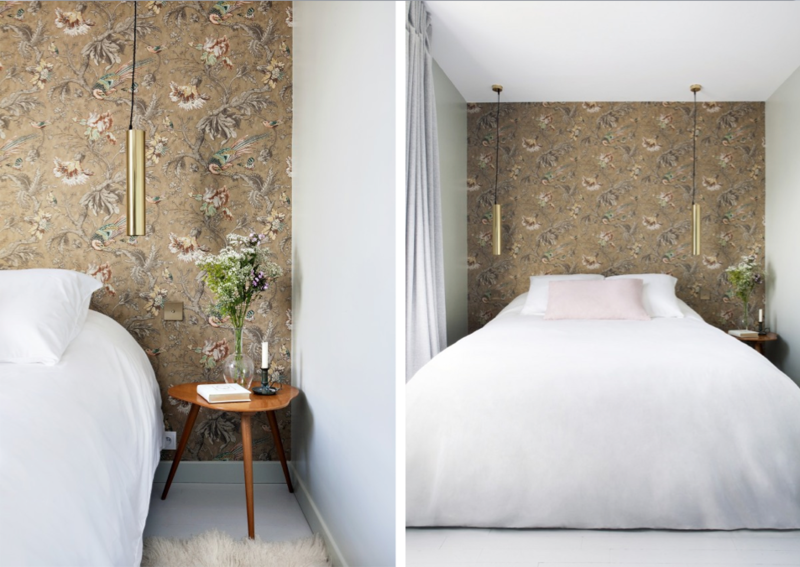 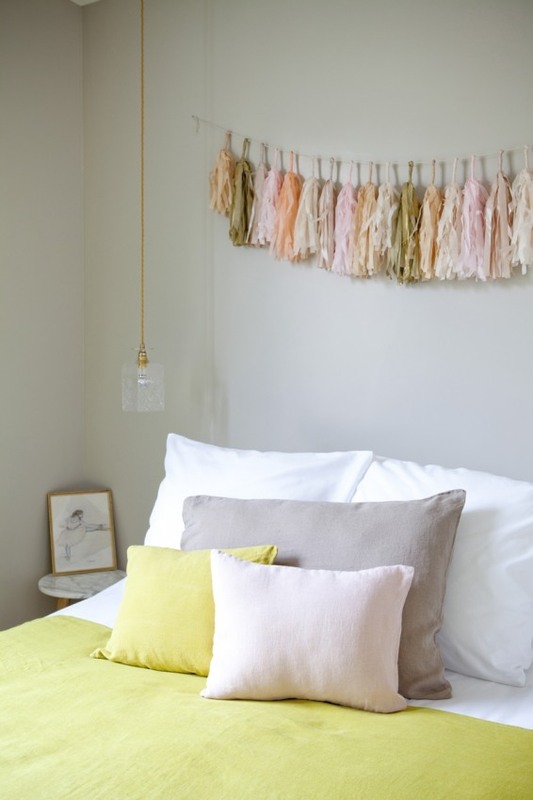 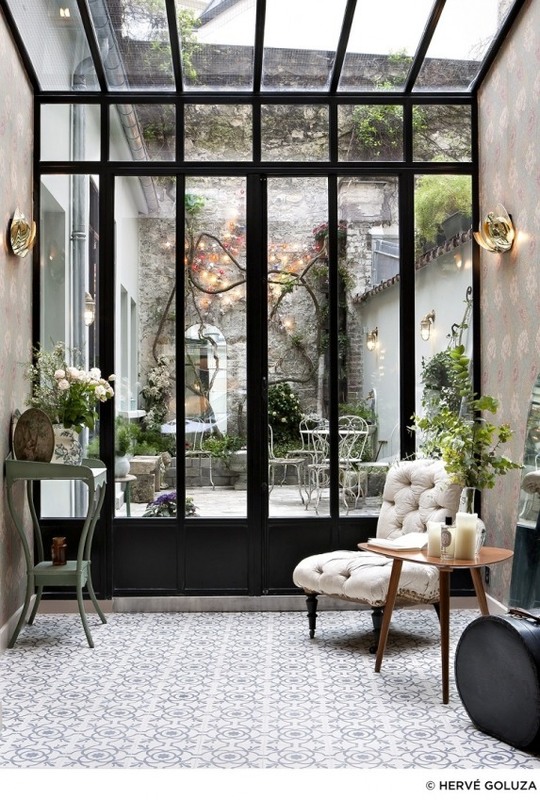 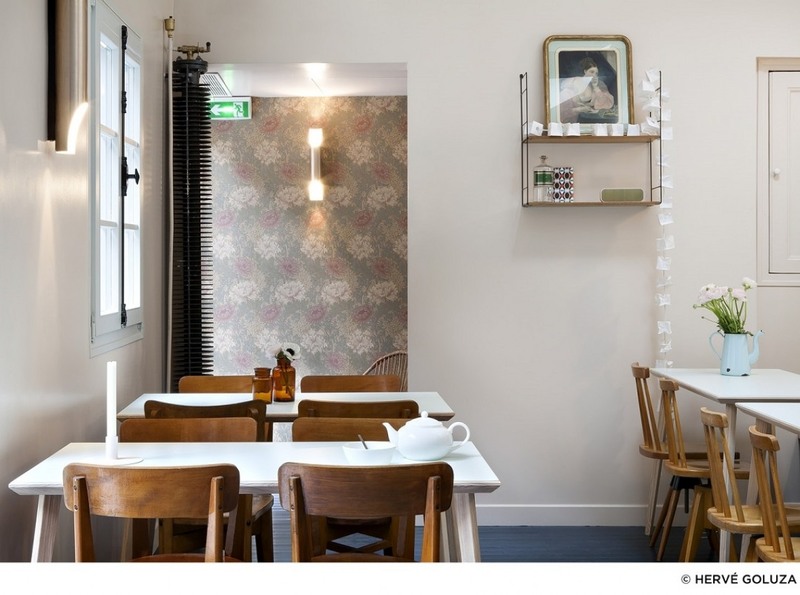 Photographs are from the website of Hotel Henriette, shot by Hervé Goluza. 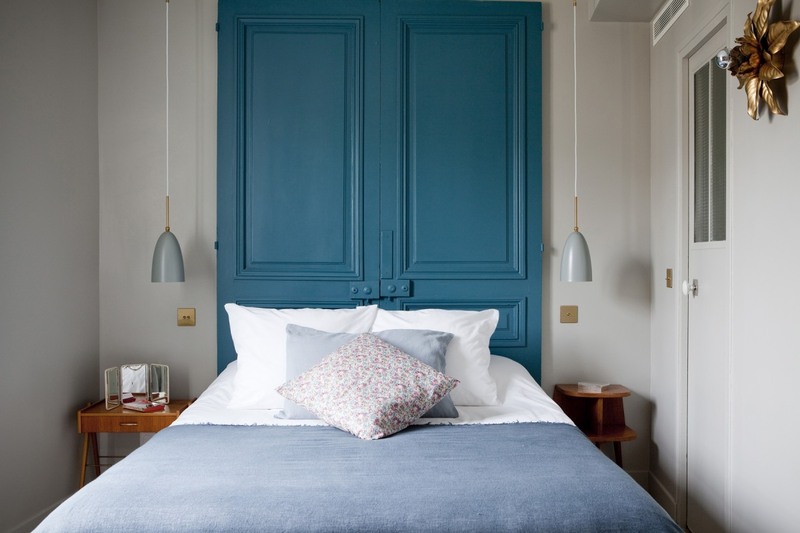 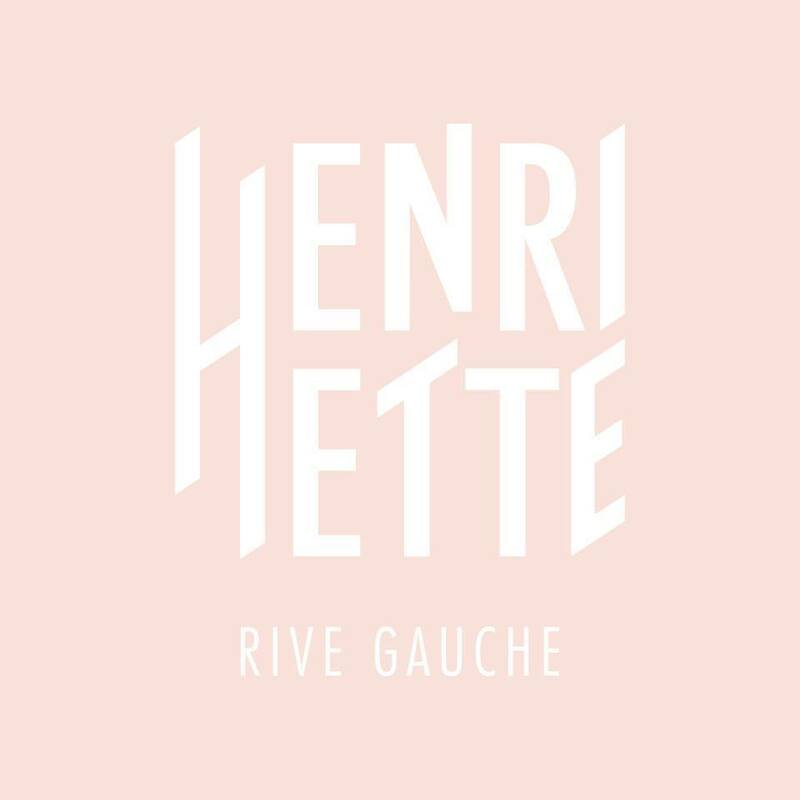 If you would like to see more pictures of Hotel Henriette visit their website, and make sure to check it out on your next visit to Paris!